It is always interesting to get artifacts for World War 2, I especially like to see when the Samurai Swords come in. One thing that is neat about them is that they could possibly be family swords that date way back before the war. As many families gave the man of the family that went to war the family sword. Many of the oldest ones are made of Damascus steel. Often times there will be a family name or crest on the blade. Sometimes there will just be a makers name rather than a family name. There are a few blades that were made specifically for the war that were machine made and stamped with serial numbers. That variety is actually illegal to own in Japan. 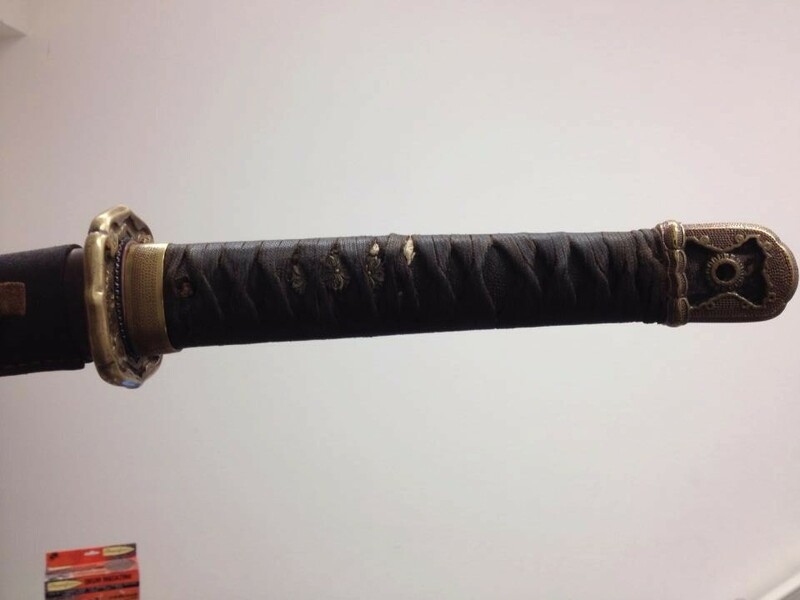 Ours here is a Wakizashi under 24″ with a Japanese inscription which I have been researching to see whether it is a family name or a makers mark. Some of the marks (they call the marks kanji) are from famous swordsmiths. It takes a long time to research these marks if you don’t read Japanese. Even then, there are some false marks. In good original condition, katanas can be quite valuable. If you have an old katana, bring it in! We buy them, loan on them, and sell them too! We sell a great quality hand forged katana for about $300 which is super cheap. It’s forged in the traditional method, so the soft steel encapsulates the hard steel except for the edge of the blade. You can see where the hard and soft steels meet by a wavy line. This is called the hamon. Pretty cool isn’t it? We also sell other types of swords and they range from $10-400 generally. I enjoy learning new things, and I am doing it constantly. Me and my father own World Pawn Exchange. I really enjoy seeing unique and unusual items come in the store. In addition to the pawn shop, I also run an internet marketing business called Wyser Marketing. I spend all of my free time with my wife and two daughters, and my dog Chester.